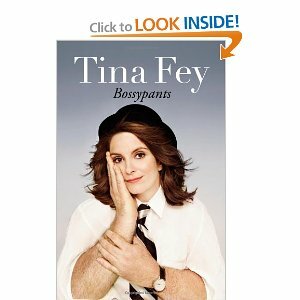 I Advocate Feminism ... a mini-blogzine: Pearls from "Bossypants"
The wise Tina Fey speaks. She wrote and starred in a movie ("Mean Girls") in addition to writing and starring on "Saturday Night Live" for nine seasons. She has a successful marriage. She has a beautiful daughter, with another child on the way in August. And to top it all off, she's penned a bestseller.
" ... My unsolicited advice to women in the workplace is this. When faced with sexism or ageism or lookism or even really aggressive Buddhism, ask yourself the following question: "Is this person in between me and what I want to do?" If the answer is no, ignore it and move on. Your energy is better used doing your work and outpacing people that way. Then, when you're in charge, don't hire the people who were jerky to you." "Some people say it's a feminist issue. I agree, because the best Photoshop job I ever got was for a feminist magazine called "Bust" in 2004....Feminists do the best Photoshop because they leave the meat on your bones. They don't change your size or your skin color. They leave in your disgusting knuckles, but they may take out some armpit stubble. Not because they're denying its existence, but because they understand that it's okay to make a photo look as if you were caught on your best day in the best light." "If you retain nothing else, always remember the most important Rule of Beauty: 'Who cares?'"